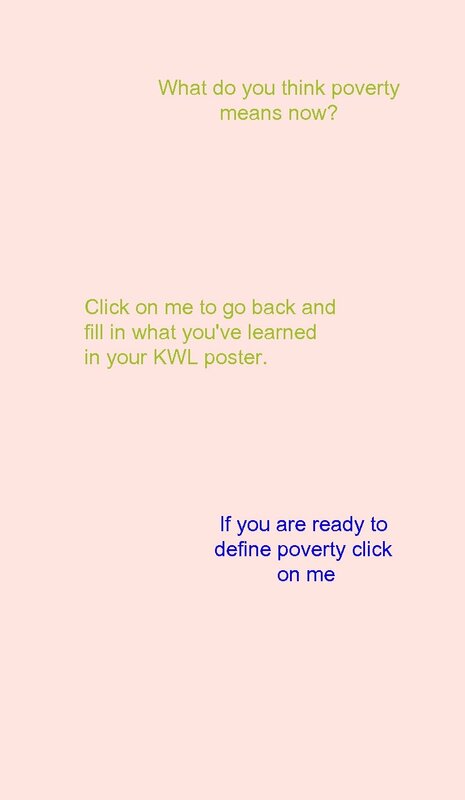 Can you tell if someone is living in poverty from a photograph? Who do you think is living in poverty? What makes you think they are living in poverty? 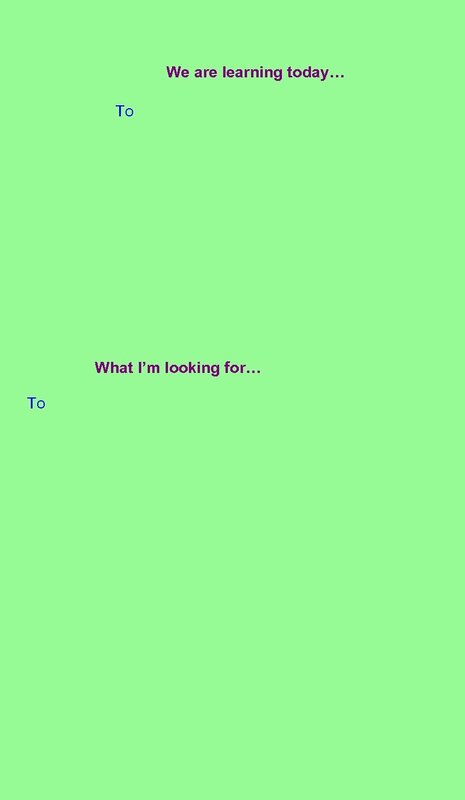 When you are finished guessing click on me. Kojo in Gabisi, Ghana is living in poverty because he has to walk four hours to get clean water. 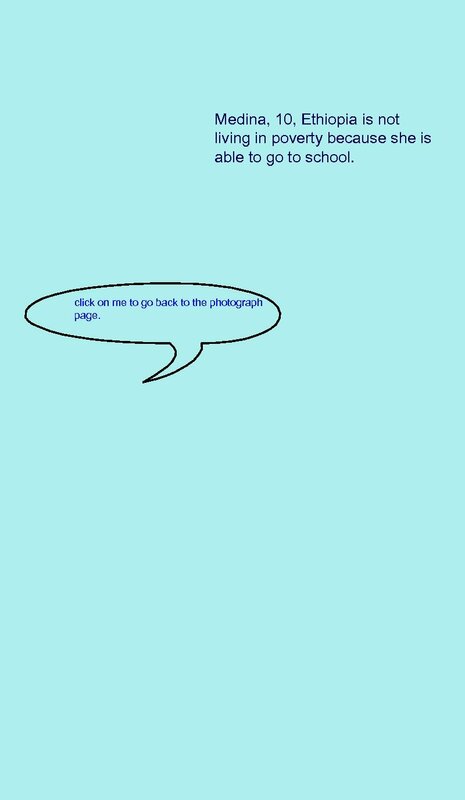 click on me to go back to the photograph page. Rayan in Nowshera District, near the site of his house, which collapsed in the 2010 floods. He is living in poverty because he has no home and little food or water. click on me to go back to the photograph page. 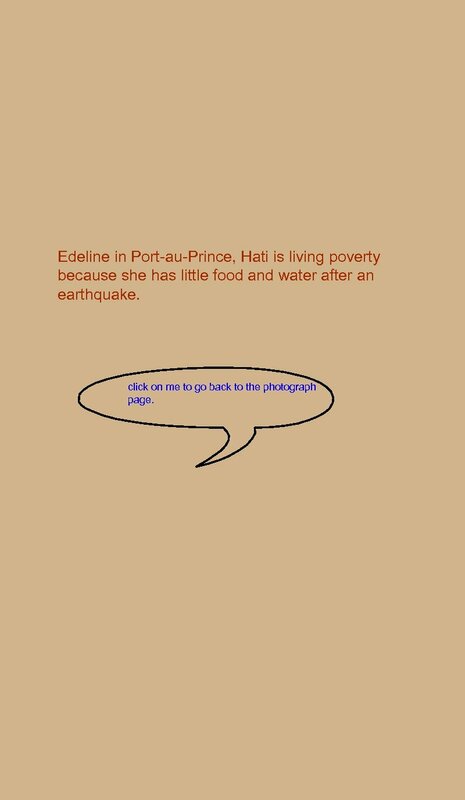 Edeline in Port-au-Prince, Hati is living poverty because she has little food and water after an earthquake. 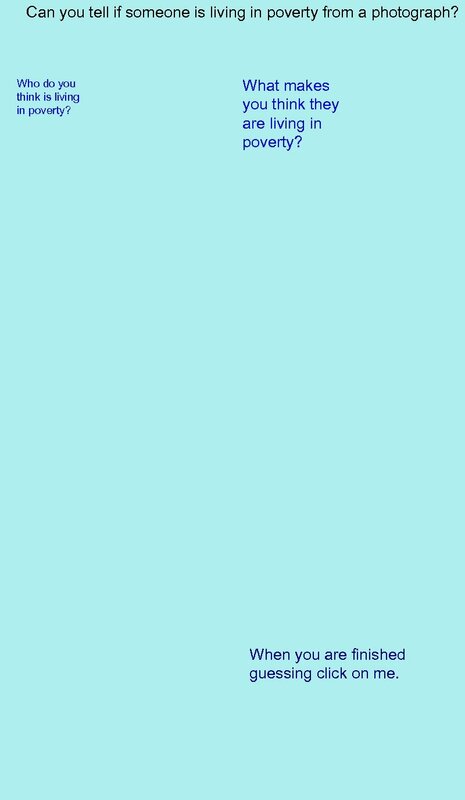 click on me to go back to the photograph page. Ayesha in Waruki Kili Village, Tank District, Pakistan is living poverty because her family does not have enough money to send her to school. 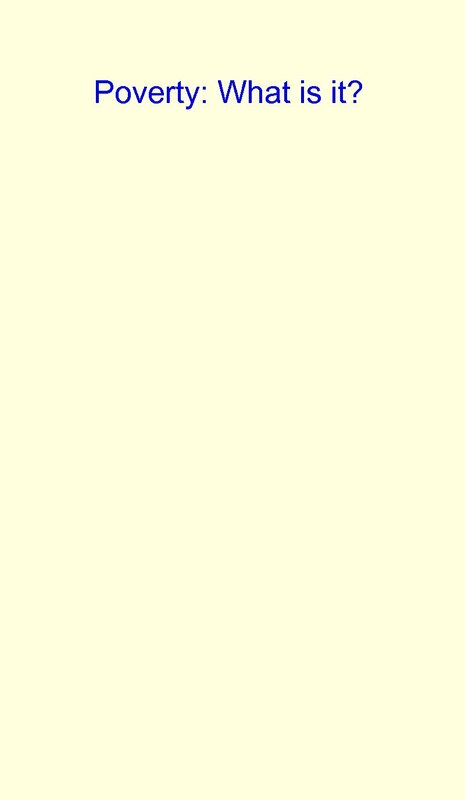 click on me to go back to the photograph page. Nathana-Elle, 12, Haiti is not living in poverty because her family survived an earthquake. They now rent a house in a new neighbourhood, and Nathana has transferred to a new school. click on me to go back to the photograph page. Medina, 10, Ethiopia is not living in poverty because she is able to go to school. click on me to go back to the photograph page. Frankie, 12 in Sligo, Ireland is living poverty because he is living on the streets with his sister. click on me to go back to the photograph page. Jalendu, in Nepal is no longer living in Poverty because he now has clean water at his school. click on me to go back to the photograph page. 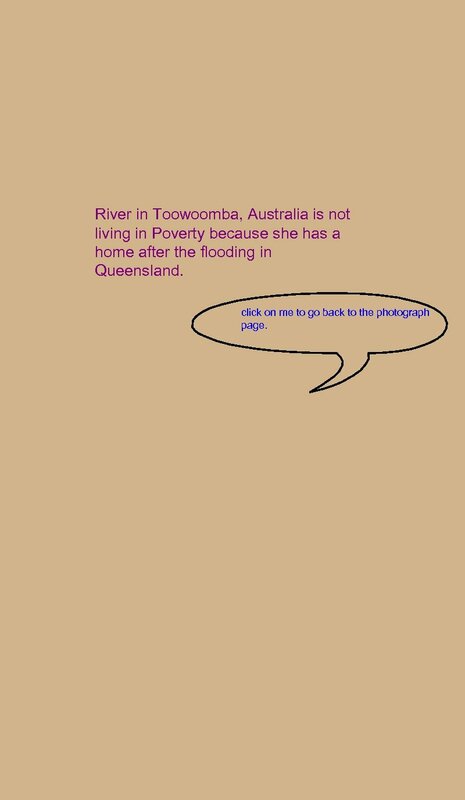 River in Toowoomba, Australia is not living in Poverty because she has a home after the flooding in Queensland. click on me to go back to the photograph page. Digna 5, in La Confianza, Northern Honduras is living in poverty because she lives in a small tent with all her family. click on me to go back to the photograph page. 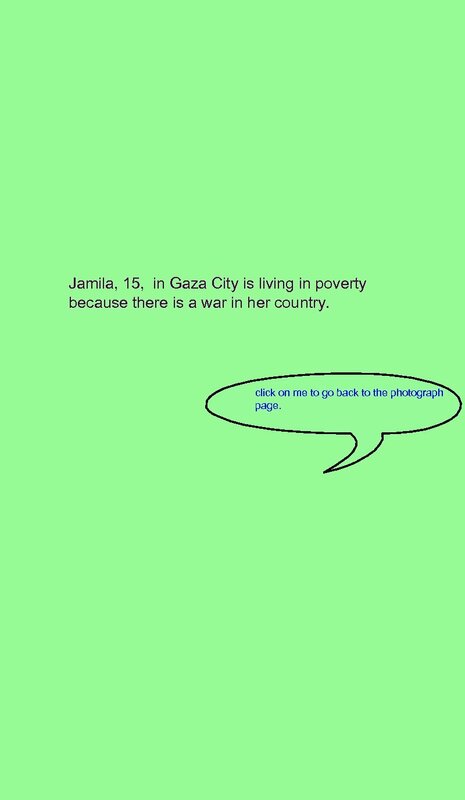 Jamila, 15, in Gaza City is living in poverty because there is a war in her country. click on me to go back to the photograph page. 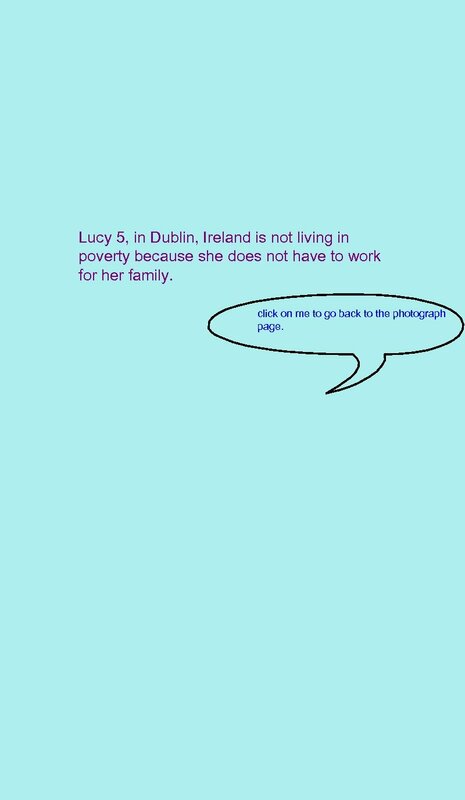 Lucy 5, in Dublin, Ireland is not living in poverty because she does not have to work for her family. click on me to go back to the photograph page. 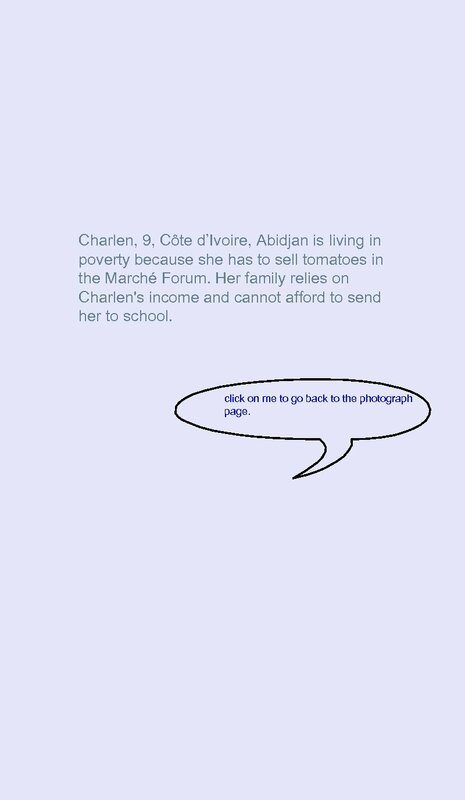 Charlen, 9, Côte d’Ivoire, Abidjan is living in poverty because she has to sell tomatoes in the Marché Forum. Her family relies on Charlen's income and cannot afford to send her to school. 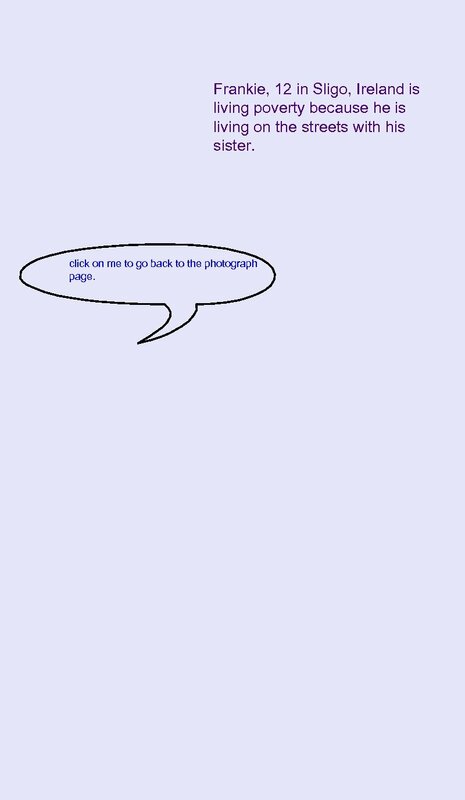 click on me to go back to the photograph page. 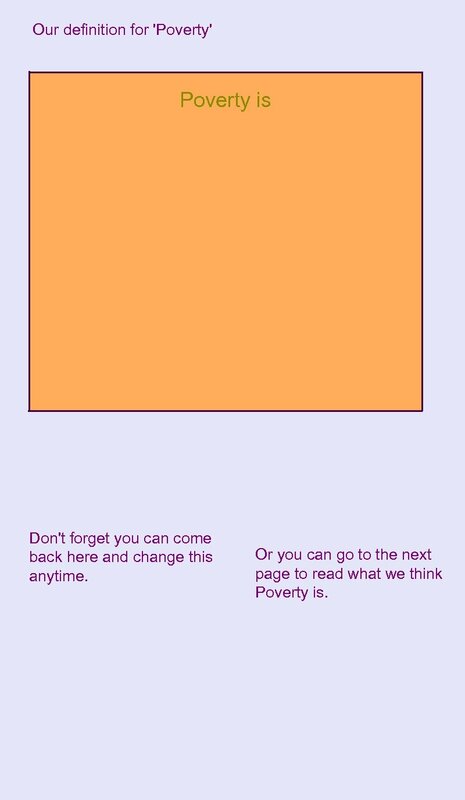 Our definition for 'Poverty' Poverty is Don't forget you can come back here and change this anytime. Or you can go to the next page to read what we think Poverty is. Do you agree with this definition of Poverty?